Hello! I'm jajafala and I love dogs! I have a cat named Merlin and a dog named Lucky. If you need a new buddy, I could be one. 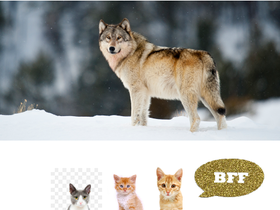 Be BFFs with this wolf here!